Looks like there are some developments taking place in the bbPress community – some major ones! 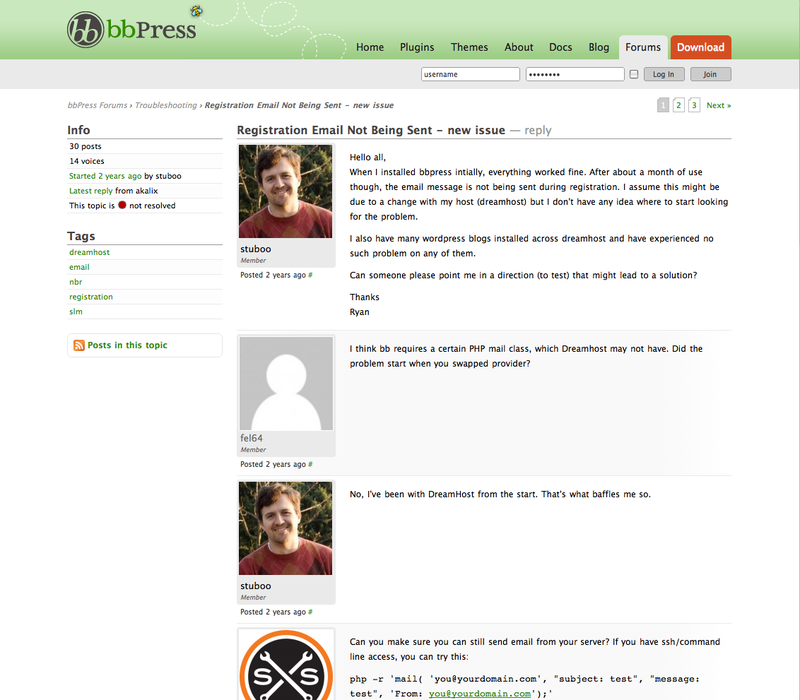 bbPress.org has now been re-designed, there have been commits by lead developers such as mdawaffe and matt, _ck_ and her website bbShowcase would be soon up (as written there). bbPress.org website is still broken at some places (especially the plugin section), but would be fixed in the coming hours/days. Someone asked Matt about bbPress. Matt confessed that he dove into bbPress. He admitted that he became a little burnt out on it. bbPress will undoubtedly be tied closer to WordPress. 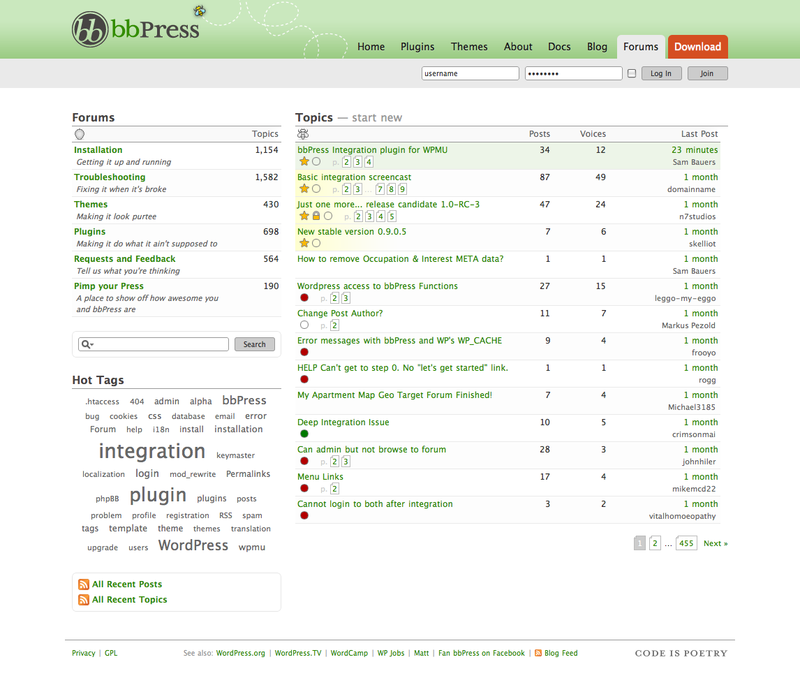 The future of bbPress will be a really awesome plugin. 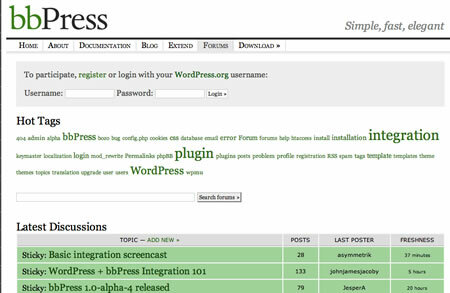 He even admitted that right now, it would be better off to use another plugin rather than bbPress. Matt said he just needs a little more time before he dives into bbPress again. The bbPress community was a bit rough around the edges and the flame war that ensued forced Matt to break away for a bit. The above is an extract from a post on WPTavern, on which _ck_ commented about the issues, BackPress bloat etc., to which Matt replied back in his comment, also mentioning that bbPress.org 2.0 was underway. The new theme is designed by Sam Bauers, it was designed a while back but has been put up now only.